It has been an incredible year – for X-Forces Enterprise, as CEO of our amazing organisation, and also for me personally. Looking back at our achievements, I am both humbled and delighted by our working community; the encouragement and enthusiasm of our Corporates, the Charities we work with, the various Government departments and NGOs who have pledged their commitment and support; the individual endorsers as well as all our ex-forces personnel and spouses, ambassadors and stakeholders. This year saw great steps in the X-Forces internal operations as we consolidated our presence in the Birmingham city-centre office and welcomed new members to our team to support both locations, London and Birmingham. Our executive team was strengthened with our new Chairman, Martin Wing who joined us early in the year. 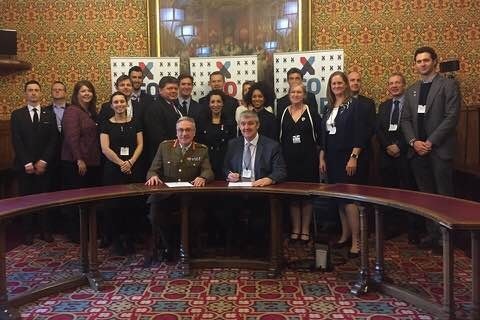 We have also seen fantastic quarter-on-quarter growth and I am proud to report that X-Forces has officially supported over 1,200 entrepreneurs, and lent over £10.5 million pounds in seed capital to help veterans and their families start their own businesses. 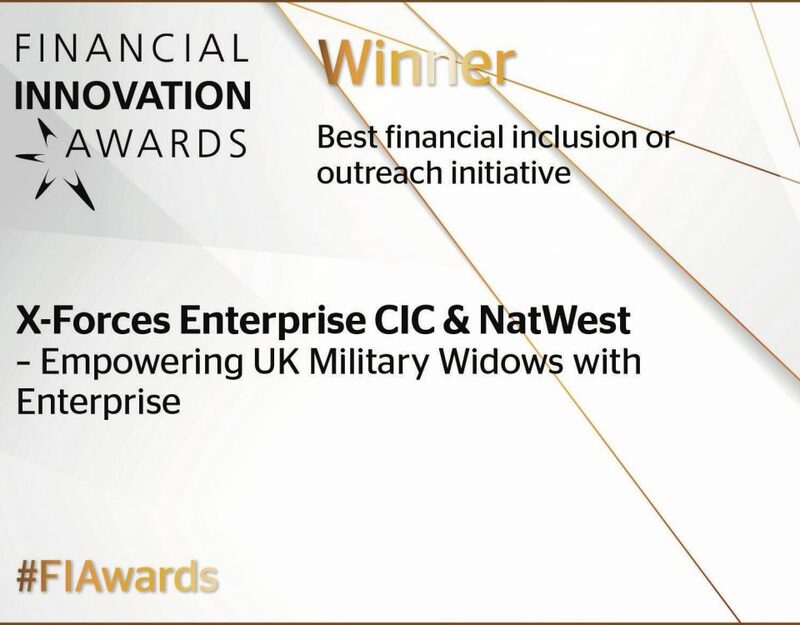 This is the backdrop to our ongoing programme of training and support for ex-forces personnel and spouses and we are simply delighted with the results for our start-ups and scale-up entrepreneurs. We forged new partnership with like-minded organisations to continue building a network for our community. These include The Military Mutual – which is a fast-growing organisation that provides the community with a range of insurance products tailored to their needs – and the new Veterans’ Gateway service which promises to be the first point of contact for veterans and their families seeking support; we also joined forces on a number of occasions with our Charities and working community, including Help for Heroes, Blind Veterans UK, ABF: The Soldiers’ Charity, The Royal British Legion, The Officers Association and not least, the Forces Pension Society Charitable Fund to support widows from all three services. We cannot discuss growth and community without touching on the generosity and support of our Corporate Partners, who are behind us in every way and whom we proudly refer to as our Magic Circle. Throughout the year, we continued to grow our networks with further signing of partnerships and covenants. We also won funding from the MOD Covenant Fund for the delivery of the Spouses Project. Looking back, 2017 was certainly breathtaking! We started our year with a re-signing of our Armed Forces Covenant and Pledges with Help for Heroes, The Royal British Legion and ABF, The Soldiers’ Charity. This was a great occasion to kick off this year’s activities. It clearly demonstrated how working together with our Corporates and Government Departments truly makes a difference. 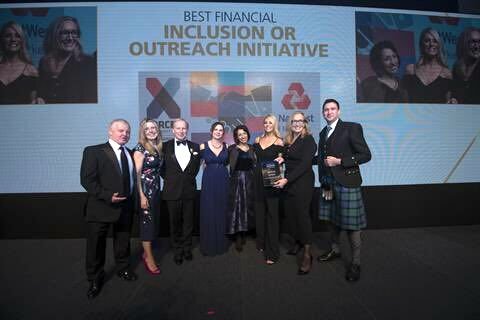 It also threw the spotlight on some of our very own XF Business Entrepreneurs, who were recognised in their own right and who also flew the flag for all the many others that have tried, started, learned and decided not to, as well as those thousands that are now in the XF Family and community. And speaking of spotlight, XF-Forces were also very visible – this helps to keep our cause firmly rooted in the minds of the business and social communities. In March, I presented at the Women’s Summit and it was heartwarming to see the response from our supporters as they recognised International Women’s Day, not just for business but for family and friends. Diversity is an important issue and I felt that our supporters, men included, appreciated the perspectives and balance that we all bring and contribute to any situation for a balanced outcome. 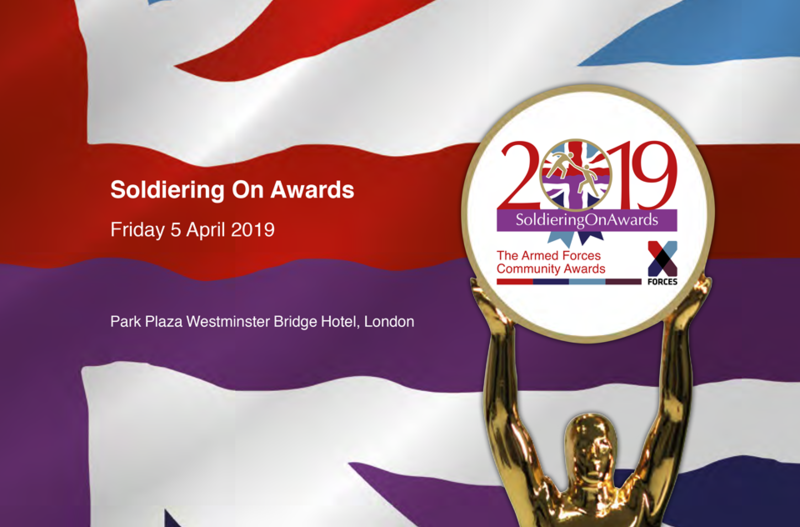 Also in March, we joined fellow finalists and guests at the Soldiering On Awards (SOA) and won the Business Enterprise Award. 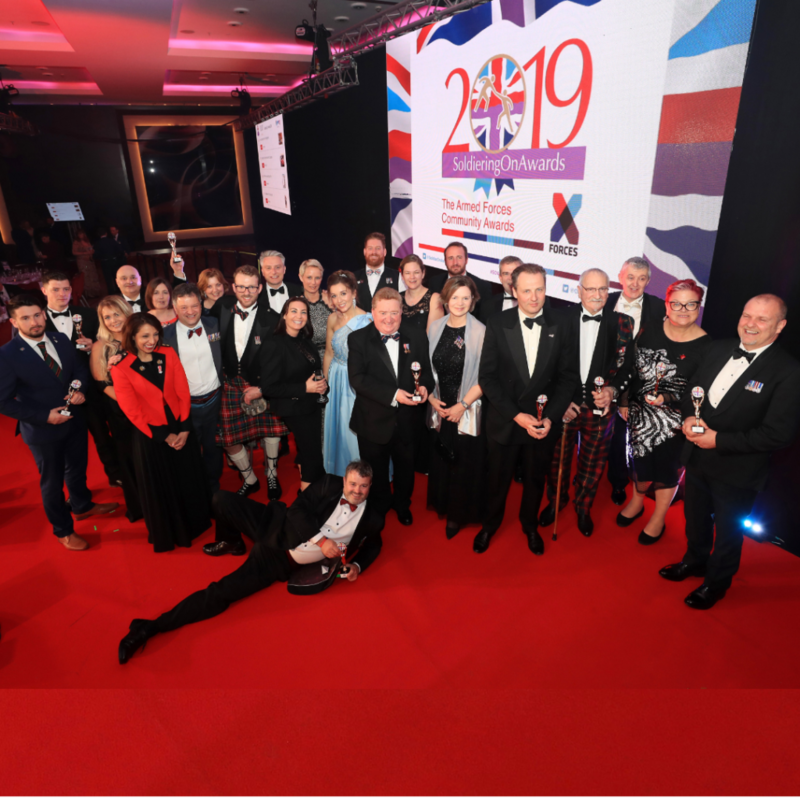 Three months later, we proudly stood next to SOA as they announced the launch of the 2018 Awards nominations – including the addition of three new business categories in partnership with us! The launch reception took place at Ministry of Defence (MOD) Main Building in Whitehall, London and was hosted by SOA Patron, the Rt Hon Earl Howe PC, Deputy Leader of the House of Lords and Minister of State for Defence in the House of Lords. This was a personal highlight as the SOA provide an invaluable platform that celebrates the success of our armed forces community across many sectors. They are also totally in line with our own objectives. 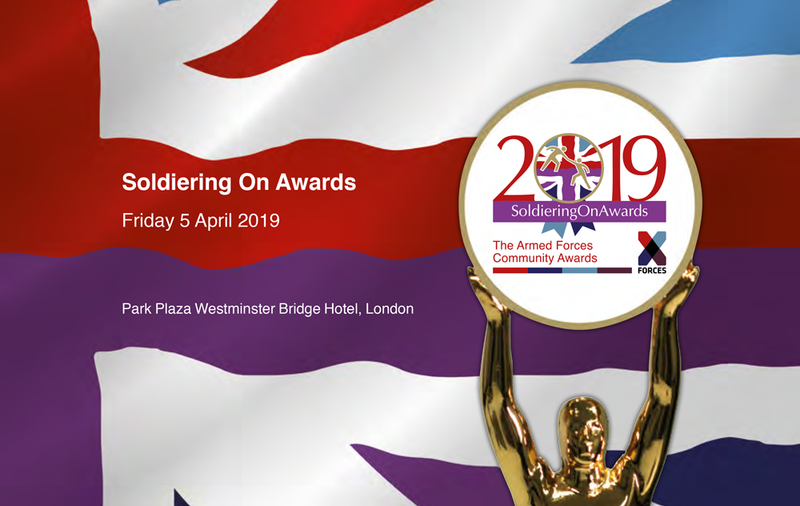 In launching the X-Forces Business Awards in partnership with SOA, we are recognising the courage and skills of individuals from the armed forces community who have taken the leap into entrepreneurship. And as we bring this year to a close, it is my pleasure to say that I am now both a SOA director and a judge, independent panel in the 2018 Awards. Another milestone in June, we joined some of our closest supporters from Big Business, Government and Charities to launch our Big Business Supporting Small Business initiative. Once again, it was fantastic to see and gain so much support, and we are extremely passionate about the knowledge exchange and the benefit this will provide to small businesses. However, the highlight of our year was undoubtedly our 4th Year Anniversary in October. 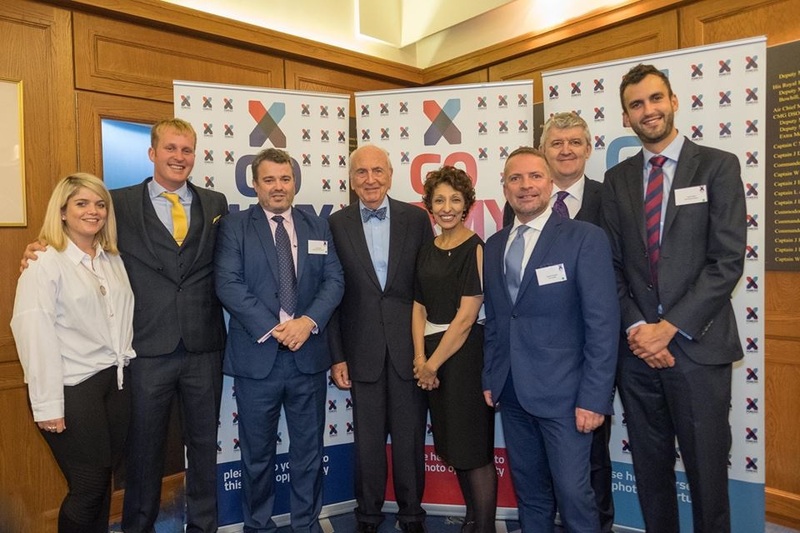 It was a proud moment when, joined by our XF Business Owners, our Patron Lord Young, our sponsors Natwest and our closest supporters, we celebrated our journey and the achievements of the Armed Forces in Enterprise at HQS Wellington. 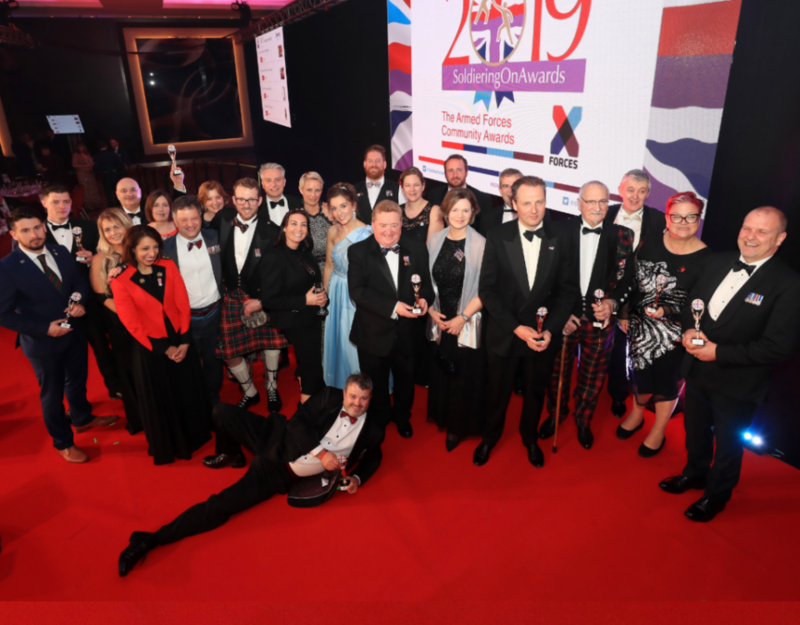 It was incredibly special to bring together our beneficiaries together with the organisations that have supported them alongside X-Forces As we heard that night, our speakers eloquently encapsulated the values that clearly demonstrate what X-Forces stands for: innovation, collaboration and family. 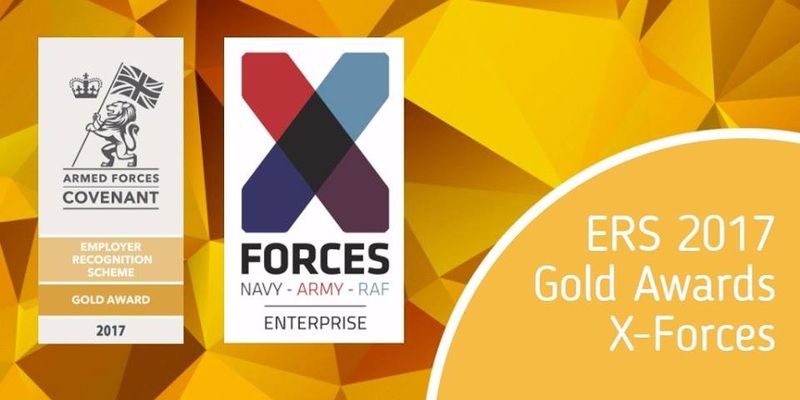 In the last quarter of the year, together with my team, we were honoured to receive the Employer Recognition Scheme Gold Award from HRH Prince Harry for our outstanding support of the Armed Forces community. It was thrilling and also humbling to be in the company of this year’s award winners! This is the highest badge of honour for organisations that have demonstrated outstanding support for those who serve and have served. November and December were equally rewarding – we spoke at the Officers Association (OA) Employment Symposium, sharing our insights with officers looking to get a head start in their next career after leaving the Services – it was the perfect platform for us to showcase what we do best. And the successes carried on even in December, when we celebrated XF Businesses in the Start Up Loans Awards: Well done Olivia and Pearl, winner of The Start Up Of the Year Award for being the most creative, innovative and ambitious new business we’ve funded; XF Business Caring Caretaker which was announced as the Runner Up for the Business Growth Award; Tracey Kitty, Runner up for Start-Up Loans Personality of the Year; Anthony James-Smith , Runner Up in the Business Adviser of the Year Award (for commitment, teamwork and creativity) and Reiss Grant, Runner Up in the Spotlight Award (for most contribution, commitment, teamwork and creativity). All totally deserved and we are so proud! Then in December, another milestone which I am sure will leave a lasting legacy. 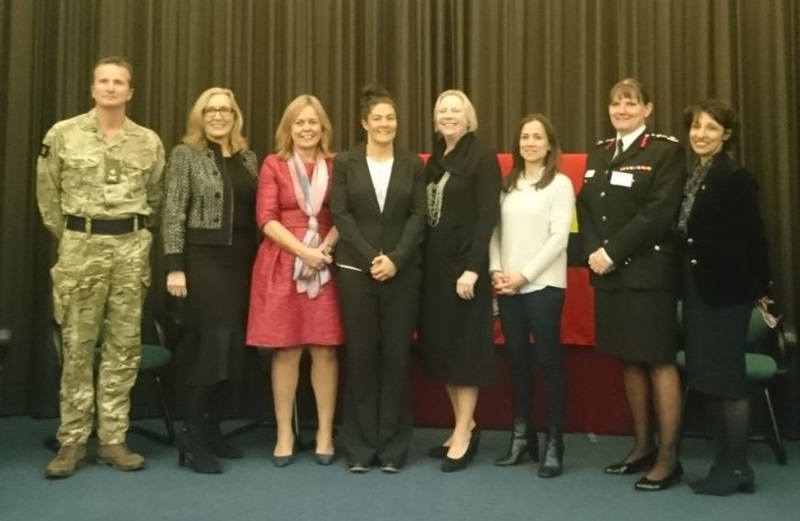 On Wednesday December 13, 2017, in partnership with the Royal Military Academy Sandhurst (RMAS), I brought together some of the country’s thought leaders to participate in the Women 100 Female Leadership and Influence Strategic Forum. The event, which was introduced by Commandant of RMAS, Major General Paul Nanson CBE; featured a keynote speech from London Fire Commissioner Dany Cotton and a panel session which I chaired and included Charlotte Avery from the Girl’s School Association, Julie Baker from NatWest, Gemma Rowland – British Army Officer and International Rugby Player, Jenny Scott from the BBC and Susan Turnbull from Help for Heroes. 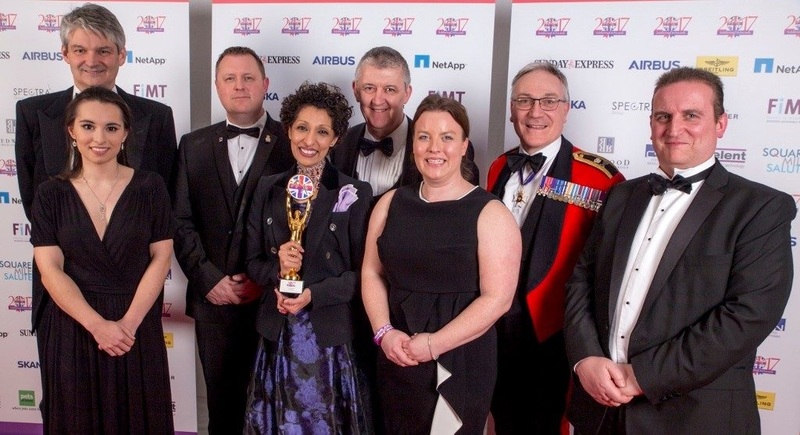 This was an incredible event which celebrated 100 years of women in the Army – 100 years which have seen a huge change in women’s role in the Army. It included a series of workshops on very topical issues such as Peer Advocacy, Ethical Leadership, the Power of Networking, Unconscious Bias & Stereotyping, Influencing Organisational Culture, Behaviours and Policy and Myth Busting – Access to ‘female minority’ employment. The outcomes from these workshops are now being pulled together in a report. Throughout the year, I have also continued to further the cause for diversity and inclusion in enterprise through my participation in the All Party Parliamentary Group (APPG) sub-group for Women in Enterprise. Together with my fellow leads and APG members, we are working to highlight the gaps and look for solutions to propose to the government for study and recommendation. What a great year! Amazing achievements and personal highs – I cannot fail to mention that I am very proud to now be a commissioned reservist. I have already joined the team for my first weekend and I am so honoured to be part of this family. Thank you for accepting me. I am very excited about the future. 2018 can only build on these achievements. From our perspective at X-Forces, we are looking to continue influencing and changing policy. We have secured the assistance of Lord Digby Jones to help us set up an advisory board – so watch out for our news in the New Year! We also plan to continue on our growth trajectory and look to digitise part of our training during the first and second quarters of 2018. I will close with a heartfelt and massive thank you to all our partners and supporters – Corporates, Charities and Government, Ambassadors and stakeholders …we couldn’t do this without you. Our deepest gratitude and best wishes to you and all your teams… It has been a great year also for XF Businesses and beneficiaries – our very best wishes to you and your families. And I will end with a personal thank you to my amazing teams in London and Birmingham – we are only strong together and we are the best team ever! Finally, Lord Young who has mentored me, advised and been that constant ear through 2018 – thank you. My very best wishes for a great end to this year and a prosperous New Year.